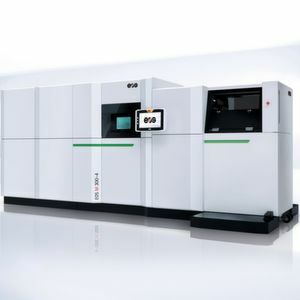 The EOS M 300 series offers digital additive manufacturing for the industrial production of high-quality metal parts. In addition to this, the firm will be showcasing a range of its latest cutting-edge solutions at the Frankfurt-based trade fair formnext. 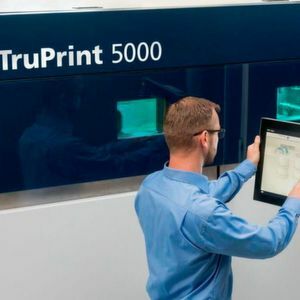 Additive manufacturing has brought a new dimension to the way production is carried out and with its numerous benefits, 3D printing has become one of the most popular technologies of recent times. Taking advantage of this market scenario, EOS is continuously working to introduce better and more advanced technologies for industry players across the globe. The company specialises in creating high quality technologies for industrial 3D printing of metals and polymers. The EOS M 300 series offers digital additive manufacturing for the industrial production of high-quality metal parts. The machine is also capable of providing a high degree of flexibility. This means that the new exposure module offers the flexibility to choose the number of lasers, their power as well as a fixed or variable focus. The EOS M 300 series is also equipped to provide DMLS quality resulting in up to ten times higher productivity. Speaking of productivity, up to four precise fiber lasers operate in a 300 mm x 300 mm square and each laser covers the entire build area. The specialised beam and power stability ensures consistent DMLS part quality across the entire build area including the full-field overlap. On the automation front, the machine proves to be a hit as one has the flexibility to choose the degree of automation as per one’s requirements in order to ensure an optimised workflow. With a building volume of 300 mm x 300 mm x 400 mm and a power consumption of 36 Kw (maximum), the EOS M 300 series weighs approximately 5,500 kg (12,125 lbs) and comes equipped with diverse software such as Eosprint 2, EOS Parameter Editor, Eostate Monitoring Suite, Eosconnect Core, Eostate Everywhere, Materialise Magics RP and modules. The laser type used for this series is Yb-fiber laser; up to 4 units; 400 W and comprises of a scanning speed up to 7.0 m/s (23 ft/s) with a focus diameter of approximately 100 µm (0.004 in). 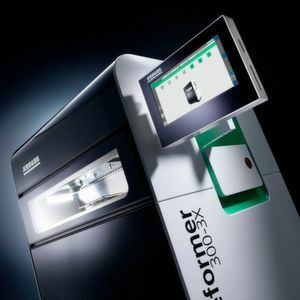 To demonstrate the unique EOS M 300 series to industry players, the firm will be participating at the international exhibition on the next generation of manufacturing technologies – Formnext 2018. The trade fair is scheduled to be held in Frankfurt, Germany from November 13–16, 2018 and will attract the who’s who of the manufacturing industry. 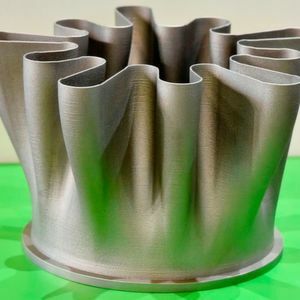 Focusing on the additive manufacturing sector, the exhibition is held every year to showcase the latest innovations in the rapidly growing sector. This is definitely the place to be if you belong to the additive manufacturing industry. See you there!